Today’s passages are guidelines that instructs us on how we ought to behave towards others. It’s one thing to have an appreciation for the world and for ourselves, but how can we be grateful for other people, especially those we don’t particularly like? Think back to St. Therese and her “Little Way.” When she was five years old, she made a promise to herself to never complain. Although she would voice her laments in letters and in her various writings, nobody ever spoke of Therese complaining out loud. And keep in mind, Therese lived her adolescence and young adult years in a convent with women she didn’t always get along with. Although she had her biological sisters with her, many sisters snubbed Therese and saw her as a spoiled brat, privileged to be living with the sisters she loved in their cloister. Instead of getting irritated or acting like a snob, however, Therese chose to smile and spend time with the ones who got on her nerves as much as she did with the sisters she loved. She had a way of winning people over, even today. What most people don’t realize about religious life is that the men and women who choose to enter into a religious order will be living with people they didn’t choose to be with. Some people love having that sense of community. If you’re someone who loves being with others constantly aka an extrovert, be grateful for those who are in your lives. Even if you don’t get along with everyone, extroverts like you need people in order to “charge up,” so to speak. You are blessed because you’re able to handle a lot of people. On the other hand, there are people who need alone time every now and then in order to recharge their energy. These people are called introverts. Introverts, in spite of what people perceive, also need to be around others. They just approach people differently. Don’t paint with broad strokes and think that all introverts are shy loners. I consider myself to be an introvert and I’m a seriously chatty person. It’s just that I hate making small talk! This is where the verse from Galatians comes in. Extroverts, be more understanding towards introverts and respect their alone time. Introverts, see what you can learn from extroverts about going from small talk to more meaningful conversations. Cooperating with others, no matter what we may feel about them, will help us learn to appreciate the other person. Think of the people in your life as being part a family, a huge family that may not always get along but will love each other no matter what. Everyone we know and see in our lives is our brother and sister in Christ. And we should treat them as such. Be grateful for the people in your lives and share your gratitude with them! Today’s featured song is “Kings and Queens” by Audio Adrenaline. It’s a song about reaching out to the less fortunate and loving the least of these. The song says applies to what we’re learning about being grateful for others as well. There’s always something we can learn from other people and the things we experience and learn are things that we can be grateful for. 1.How do you treat people who have different personalities from you? Do you see everyone as a brother or sister in Christ? 2.What are some ways you think you can bear other people’s burdens in your daily life? 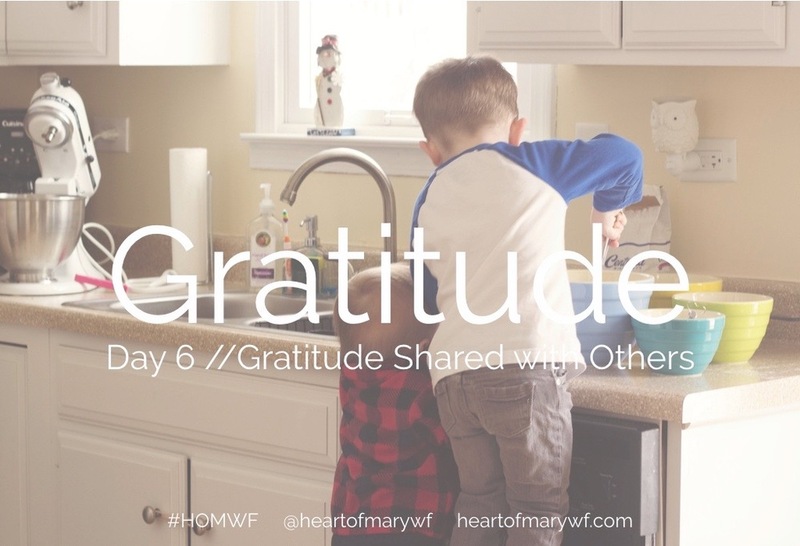 3.How do you think gratitude can improve the way we act towards other people?